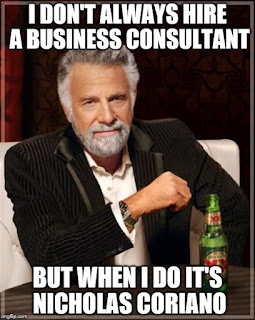 You've probably run into a business plan writer that has a business degree. But have you ever met a business plan writer with a business degree and a law degree? Maybe. Have you met a business plan writer with all of that and an owner of several successful businesses? That has written over 250 business plans? That has traveled to over 12 countries and speaks two languages? A business plan writer that also can create your website? A business plan writer that can also create your pitch deck? A business plan writer that can also form your LLC or Corporation? A business plan writer who has been an entrepreneur since he was 13 years old? Probably not! Hi my name is Nick. 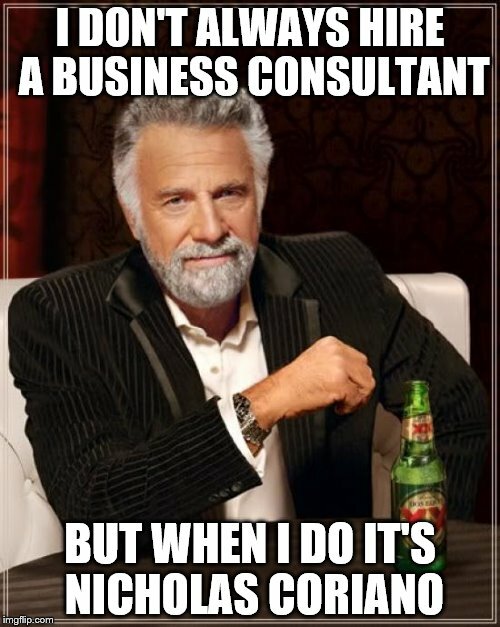 And I may not be the most interesting person in the world but I am probably the most interesting business plan writer in the world. I started writing business plans when I was attending Law School in 2010 after I noticed that many business plan writing services were overpriced and unaffordable for the average entrepreneur. Ironically enough, the book I read most as a teenage entrepreneur was "The Dummies Guide to Writing A Business Plan." As a teen I read that book again and again. I also played my first stock market game; which eventually led to my fascination and passion in finance. Did I mention at 15 I was charging upwards of $250 per hour to perform magic shows? And by 17 I was throwing all-age dance parties making upwards of $1000 per night? Fast forward to today and I've grown a 6 figure ecommerce business, own a real estate holding company with properties in 6 states, have over 200,000 followers on twitter and my business plans have raised millions of dollars for entrepreneurs and executives around the world. My business plan writing service is pretty straightforward. You simply choose one of my standard business plans I offer. The Prices range from $350 to $1,000. (PS There is nothing standard about my business plans, I custom write each one tailored to my clients needs). The average business plan takes me 7 business days to complete. I also have payment plans available so that prices can be split into two payments. When the payment plan option is chosen, it takes 14 days to complete the business plan. I also have faster delivery times available with custom business plan writing services as fast as 48 hours. the phone, after you have made the payment, in regards to the questions I am asking for. BUT PLEASE FEEL FREE TO REACH OUT NOW! Initial consultations are free and I love to hear from business owners, entrepreneurs and aspiring business owners and entrepreneurs. The fastest way to get ahold of me is to text me or email me to schedule a time to speak. My cell phone number is 203-685-0346. If you call me, simply leave a message as I am probably working on a business plan, and I will call you back as soon as possible. What information do my clients need to provide for me to write and develop a Business Plan?